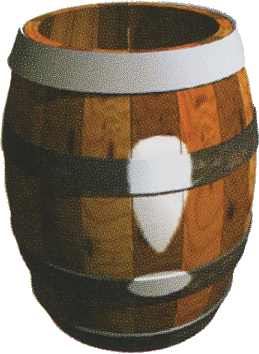 An Invincibility Barrel (also called an Exclamation Point Barrel and an Invincible Barrel) is an uncommon type of Barrel that first appears in Donkey Kong Country 2: Diddy's Kong Quest. It also appears in its handheld counterpart, Donkey Kong Land 2, and its direct sequel, Donkey Kong Country 3: Dixie Kong's Double Trouble!. 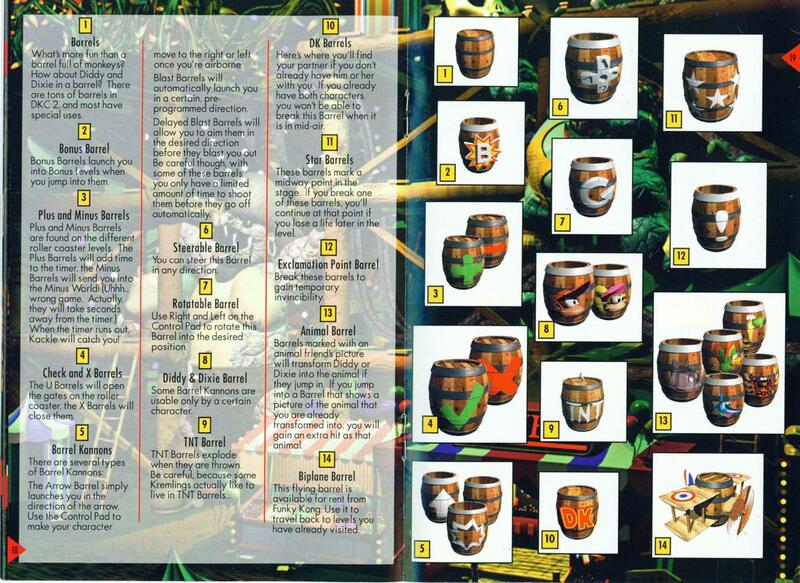 Invincibility Barrels do not appear in Donkey Kong Land III and have not appeared since. They have a few successors that appear in some later Donkey Kong titles. In Donkey Kong 64, Donkey Kong has his own ability, Strong Kong, that gives him temporary invincibility. In DK: King of Swing, the player can temporarily gain invincibility by using the "Go Bananas" ability with 20 bananas, and in DK: Jungle Climber, Crystal Stars are the successor to "Go Bananas". 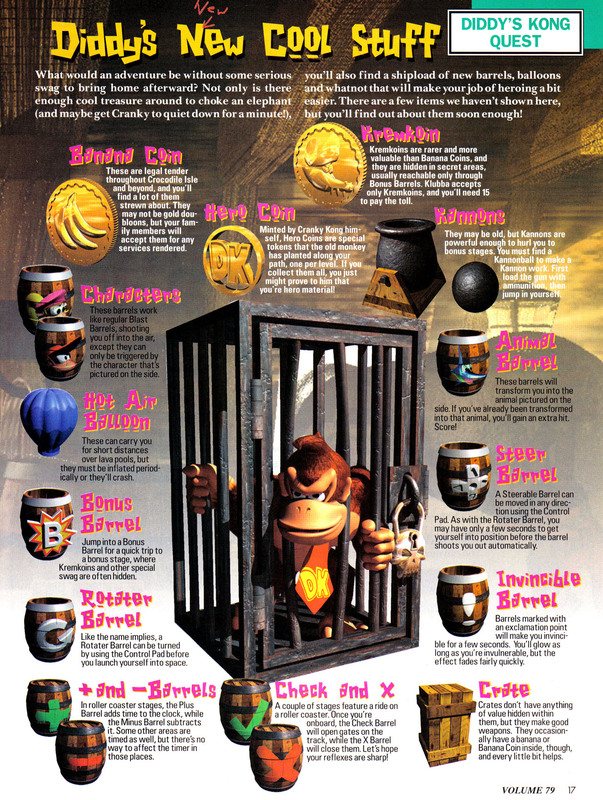 In each of its appearances, Invincibility Barrels grant temporary invincibility to the Kongs, similar to a Super Star from the Super Mario series. They are identifiable from the large, white exclamation mark painted on them. Through the effects of the Invincibility Barrel, the Kongs are able to defeat some of the stronger enemies, although normally invulnerable enemies, such as Snapjaw, still remain unaffected. An Invincibility Barrel is sometimes required to reach a Bonus Area. An example is in Donkey Kong Country 2, during Bramble Scramble, where Diddy and Dixie Kong can use an Invincibility Barrel to safely move across a nearby bramble path and into the Bonus Barrel. In Donkey Kong Country 3's Riverside Race, Dixie and Kiddy Kong must use an Invincibility Barrel (which is invisible, with a banana representing its location) to jump onto three red Buzzes to reach a Bonus Barrel on the hill. This page was last edited on April 20, 2019, at 17:32.